What is the BEST handgun round?!? 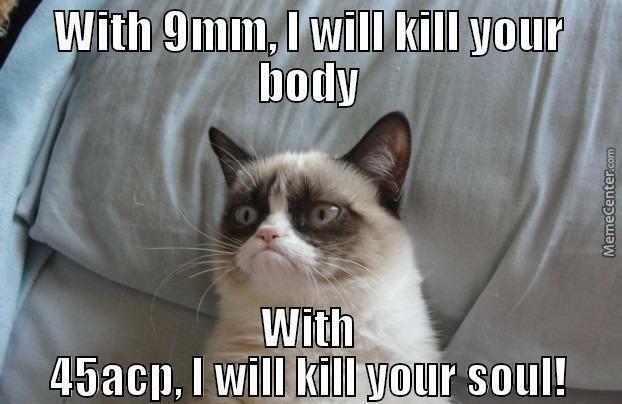 The debate over the 9mm and .45 ACP is one of the most heated conversations in the firearms community. 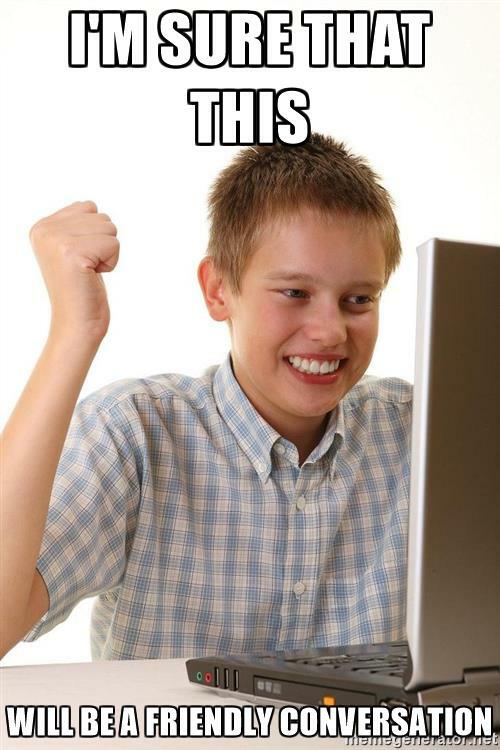 Enough to spawn sayings you’ll see all over forums (and t-shirts). 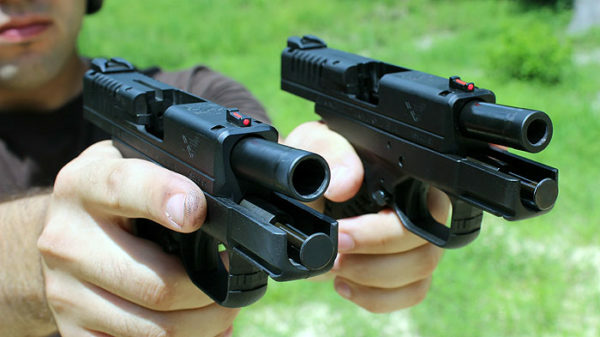 Both handguns have a huge following thanks to their popularity and success in the field. I’m sure this is going to spark plenty of debate, so please feel free to let me know how you feel in the comments. Please be gentle in the comments. Let me start out by saying that the biggest mistake that most people make is taking a black-and-white stance on the .45 ACP and 9mm. You’ll hear a lot of people say that the .45 is better because it shoots a bigger caliber bullet, or that the 9mm is better because of its capacity. Click here if you want to learn about more handgun calibers. Both are valid points and very understandable reasons to prefer one over the other. Even if you think size > capacity or more bullets is better, you have to admit having bigger bullets and having more bullets on tap are both worthy considerations when choosing one gun over the other. Is bigger always better? Some shooters think so. The truth is…neither gun has a total advantage over the other one, and your personal preferences will play a lot in determining which handgun is for you. Let’s take a look at the selling points of each one to help you decide. Praised for being compact and easier to handle than its .45 ACP counterpart, the 9mm has become one of the most popular rounds in the world. For more than 30 years, the Beretta M9 and M9A1 have been the standard sidearm of the US Army, Navy, Air Force, and Marine Corps. The Army is in the process of switching over to the SIG Sauer P320…but they’re still sticking to the 9mm caliber design. Even the FBI has phased out their .40 S&W sidearm in favor of the 9mm’s improved stopping power and penetration. This begs the question: is bigger necessarily better? FBI Agents getting some target practice in. The 9mm also has a higher muzzle velocity than the .45 ACP because it uses lighter bullets. This has caused a debate in the firearms community over what’s better, a fast and light cartridge or a heavy and slow one. While the answer to this is up to debate, one thing is certain: higher muzzle velocity does equal slower bullet drop. One of the most attractive things about choosing a 9mm for home defense is having more rounds at your disposable. Unfortunately, this benefit may be completely canceled out in some states due to magazine restrictions, so it’s a good idea to review any state and local laws before buying a 9mm if you’re set on having a 15+1 capacity gun. From the days of the trusty Colt M1911 to modern .45 caliber handguns like the Glock G21 and the Sig Sauer P220, the .45 ACP has always been one of the most reliable calibers on the market. 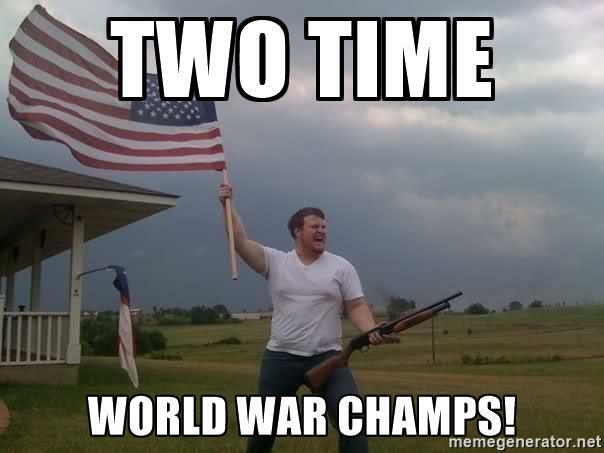 After all, it was the official sidearm of the United States Armed Forces during two World Wars and remained so up until the 1980s. 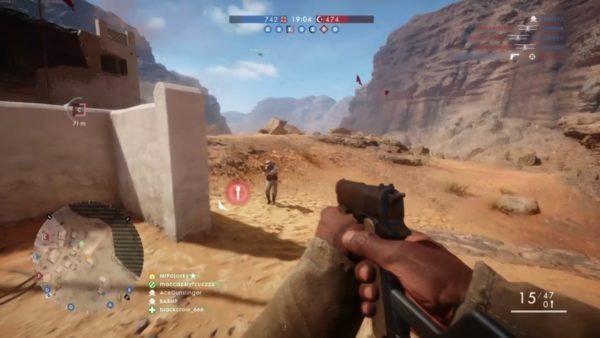 You may have noticed it in every first person shooter game ever. If you like the idea of shooting a gun with a lot of stopping power…you’re not alone. While slightly impractical, the .45 ACP also has the coolness factor on its side. It’s a battle-tested gun that’s played an important role in American history during the 20th century. There’s no doubt that the .45 ACP is a classic handgun that’s not going anywhere in the foreseeable future, but it just doesn’t outperform the 9mm. 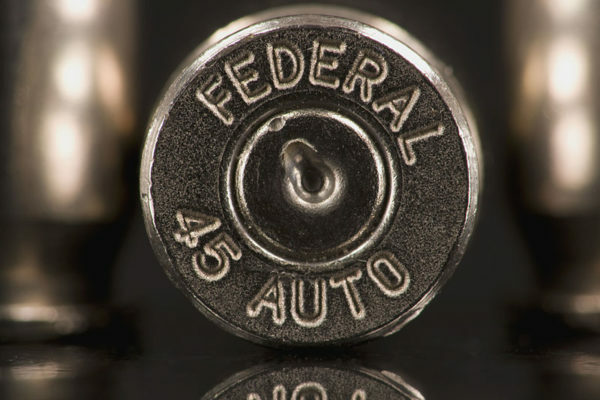 Advancements in modern defensive ammo technology have helped the 9mm improve by leaps and bounds over the past 30 years; it’s not the same underpowered round that the FBI abandoned in the early 1980s. 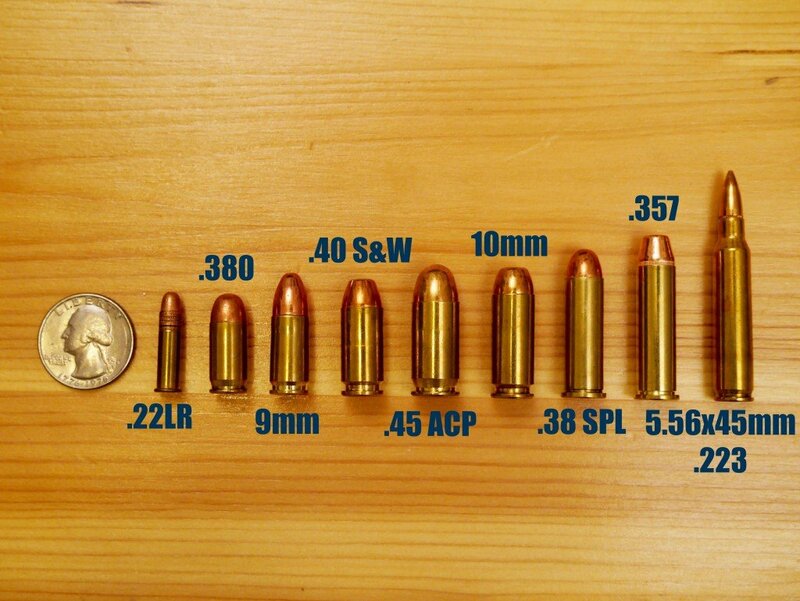 With a good modern defensive ammo, the 9mm is just as powerful as any .45, just in different ways. When comparing the two handguns, it’s important to note that the 9mm hasn’t become better than the .45 ACP…it just caught up to it. A picture is worth a 1000 words…new self-defense 9mm ammo opens up to create some nasty possible wound channels to stop attackers in their tracks. That is some nice expansion from the 9mm ammo, but let us not forget that the same developments in HP ammo that allowed 9mm to catch up to .45 ACP FMJ also allowed .45 ACP HP to become a real monster of a round. Both (roughly!) doubled in size…and since .45 ACP is bigger to start with, it became massive in the end. Furthermore, the 9mm is more practical for the average shooter looking to spend time on the range. With boxes of 9mm Luger rounds being 30 to 40% cheaper than .45 ACP ammo, increased range time isn’t going to break your budget; and after all, spending more time on the range does make you a better marksman. Here are more tips on how to shoot more accurately. However, there is always something to be said for having really big bullets ready to deal with really big problems. Also, for you suppressor enthusiasts out there, the .45 ACP is an inherently subsonic bullet. It fires slow and heavy bullets at a lower muzzle velocity than the 9mm and can be suppressed to near-whisper levels. One of the main reasons why military personnel and many LEOs made the switch to 9mm handguns was because of the deeper bullet penetration. 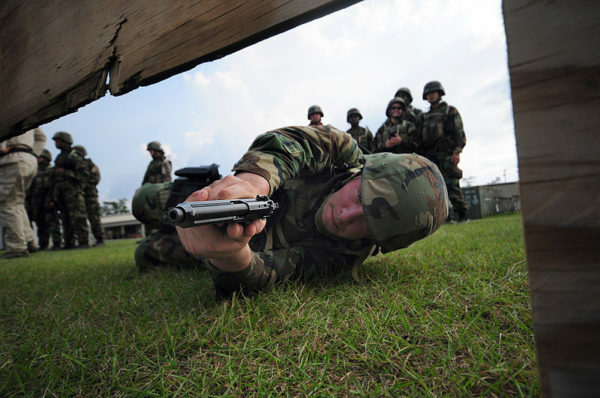 Unlike in a home defense situation, the ability to shoot through a wall, automobile, or various other objects in a combat scenario can be the difference between life and death. 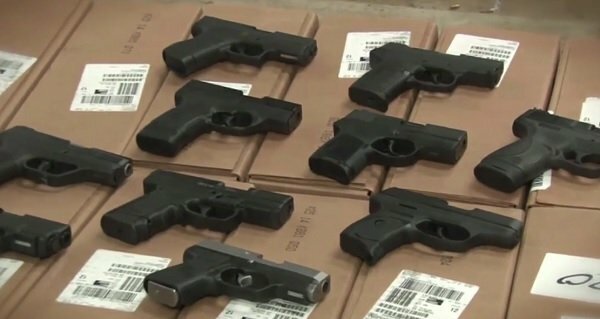 The FBI agrees that the 9mm has lifesaving features. LEOs have a 20 to 30% accuracy rate in shootouts, so magazine capacity is important. 9mm Luger rounds have a deeper penetration than other handgun calibers. 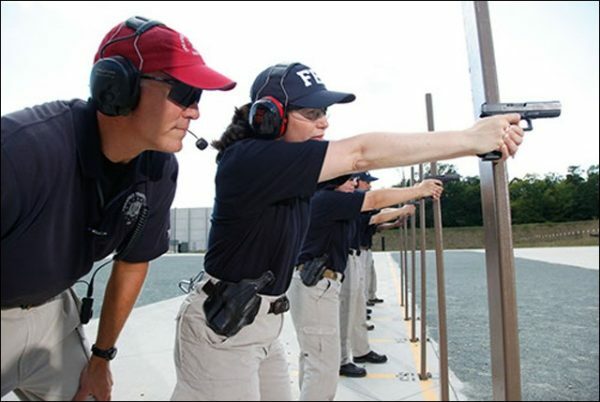 FBI agents have been observed to shoot faster and more accurately with the 9mm. The wound tracks of a 9mm and a .45 ACP are almost the same. The 9mm’s lighter recoil makes it easier for follow-up shots. Considering all of the advantages of the 9mm, why would anyone want to use the .45 ACP? Well, when it comes to home defense, the .45 ACP does hold one distinct advantage over the 9mm: shallower penetration. Don’t worry, that’s a good thing here. As mentioned in the video, over-penetration isn’t as big if a problem with the .45 ACP because of its slower, bulky bullets. This means you have less of a chance of hitting an innocent bystander through a wall in a self-defense scenario. You might be wondering which caliber is better for you…the 9mm or the .45 ACP. Well, this might rock your world but I’d recommend getting one of each. Assuming you have the money. “More guns” is the solution to a great many problems. 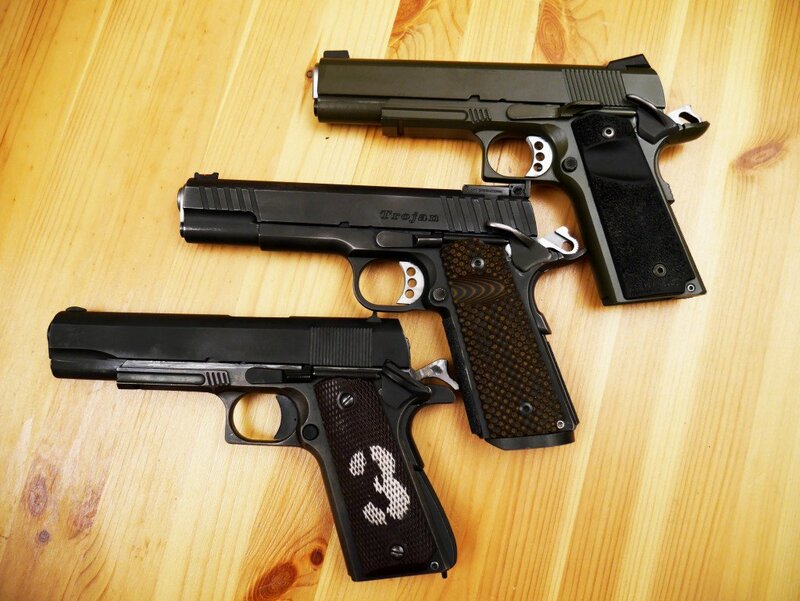 Many shooters like to have the .45 ACP for home defense. It’s the perfect grab-and-go handgun to fire in close quarters where recoil won’t pose such a problem. Alternatively, the 9mm’s stopping power and smaller design makes it ideal for open and concealed carry. While there are a number of compact .45 ACP models on the market, as a general rule, you can expect the 9mm to be more comfortable to carry in a holster. Also, in a self-defense situation outside of your home, there’s a higher likelihood that you won’t be firing your gun at close range like in a home-defense scenario. In this situation, you’ll be glad that you have the faster follow-up speed and a larger magazine capacity of the 9mm. 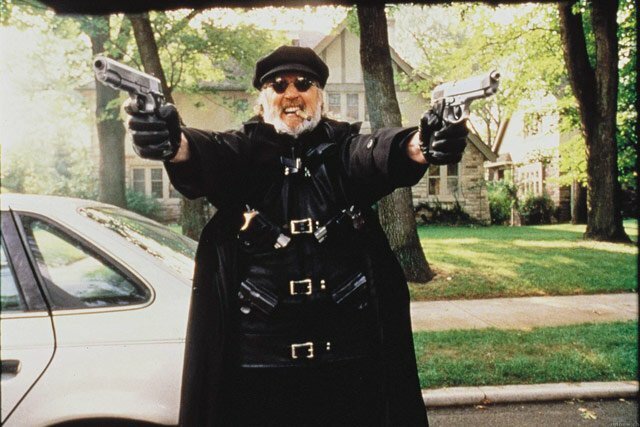 Ultimately, both guns are great weapons to have. When choosing between the two, also consider which gun feels better in your hand. 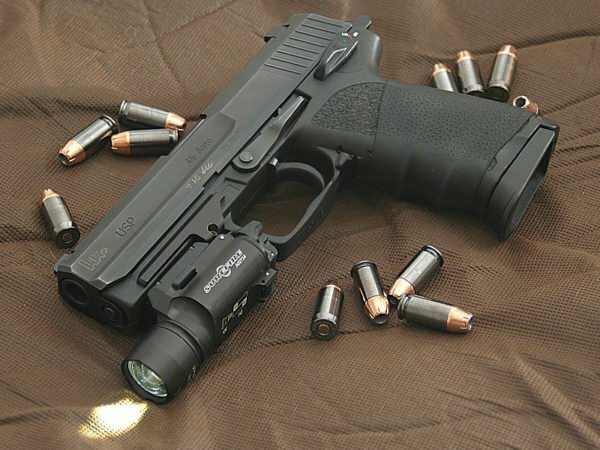 Some people prefer the heavier feel of a .45 ACP, while others find the light and slim nature of the 9mm to be more easy to use. Either way, the 9mm and the .45 ACP both pack a strong enough punch to neutralize any threat. 9mm and .45 ACP come in a huge range of flavors, some that are amazing for home defense or EDC and some that are best for punching holes in paper – no matter what caliber you pick, we got you covered in our Best 9mm Ammo and Best .45 ACP Ammo reviews. Where do you stand on the 9mm vs .45ACP debate? Did I leave something out? Let me know in the comments below! I agree with you completely,I like and have both -a DW Guardian in .45 and a sig p365 9mm for carry.The choice on which to carry depends upon where I am carrying and why for that day.I believe the ability to have both options covers more scenarios.Great info BTW. And the proof he show. 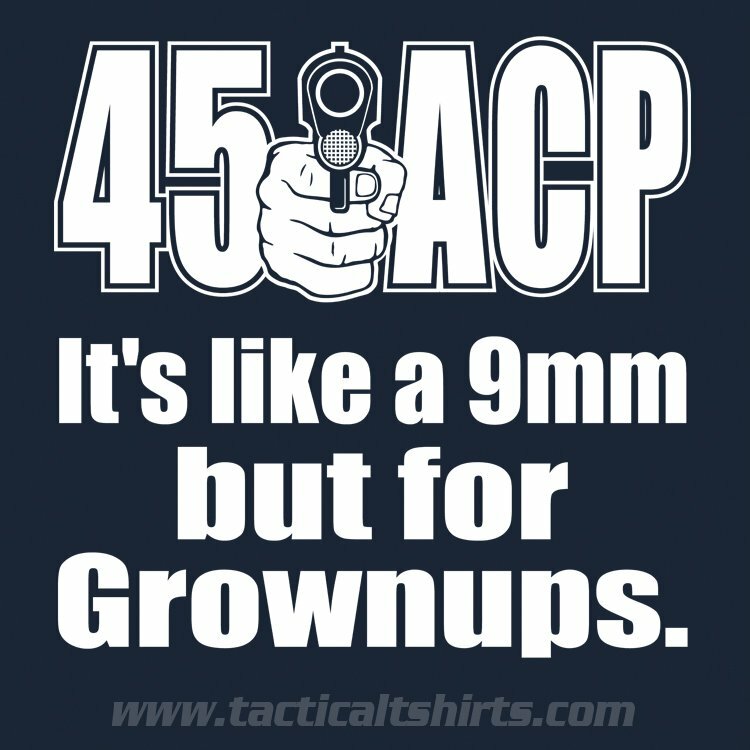 My dear friend, is nothing ups there tha can be compare to the amazing 45 acp. For self defense close or far away. We can hit a moving target at 75 yards away. This is a great article period.! I would like to add that the FBI test comparisons that are referred to are only half the test. The true stopping power goes to the 45 acp (I.e. death) 92+%, 9mm is just over 50%. Center mass Shot placement. Which is why spec ops and the FBI still have 45 acp in their arsenals. Operational goals dictate which weapon to carry. The FBI and the army’s surgeon General have done extensive data gathering. It’s good advice and have fun digging. some info is well hidden for obvious reasons.